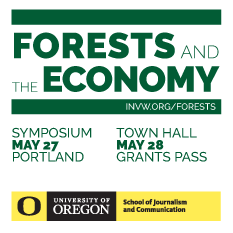 Ben DeJarnette, InvestigateWest: There’s been a lot in the news lately about the decline of logging on public lands and its impact on rural Oregon. Why is timber from these federal lands so critical for rural communities like John Day? 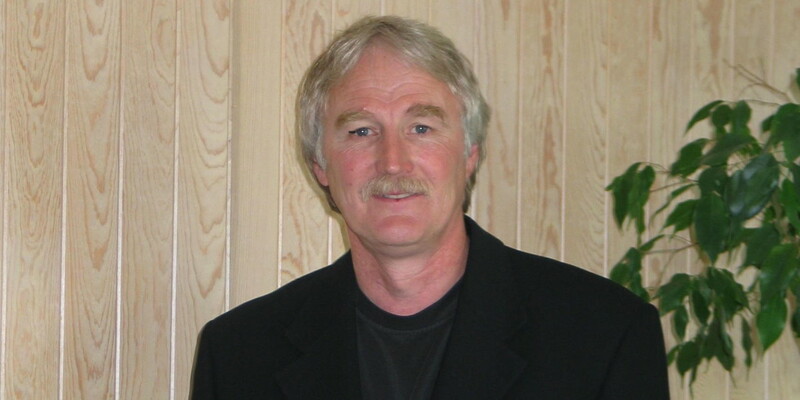 Bruce Daucsavage: In Grant and Harney counties, about 72 percent of the timberland is owned by the federal government, so the dependency on public lands has always existed. Without the timber coming from these lands, there wouldn’t be any sawmills. Another issue is that our rural counties have a much smaller tax base. Because the federal government owns so much land, there aren’t as many opportunities to tax private-land development like housing, shopping malls, whatever it might be. Historically, the government has helped out by sharing revenues from timber harvests with the counties, but today there’s very little logging happening on public lands. The counties are being squeezed, and certain social benefits like roads, schools, and law enforcement are eroding. Timber harvests on Oregon’s federal lands have fallen about 90 percent over the last 30 years. How has collaboration helped environmental groups and the timber industry work toward a happier medium? Before, people were talking at each other instead of talking to each other. We were fighting over this resource, and it was just creating anxiety, job losses, and uncertainty. And it was destroying the industry. Then about 10 years ago came this new process of collaboration and stewardship contracting. We stuck our necks out there, and I think it’s been very successful. We’ve adapted. Even though there used to be more than 900 sawmills in the Northwest and now there are fewer than 200, the mills that remain are very efficient. We’ve learned to make a living on the smaller trees. 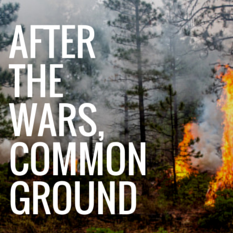 Did finding common ground with environmental groups surprise you? I wasn’t just surprised. I was delighted. The environmental community is mostly based in the cities, but they decided they wanted to come visit these landscapes and talk with the people who live here. That’s something they did out of their hearts — because they have an emotional attachment to the land. And I think they saw that we do, too. We not only believe in good management and sustainability, but we practice it. I think they discovered we aren’t the boogeyman. Sometimes it helps to actually sit down and have a glass of wine or a scotch with these folks, and you see that they have the same concerns as we do. What it really takes is time and trust. When you can lay out your feelings and your plans and the things you held close to the vest — without worrying about the other side getting an advantage on you — that helps build trust in the process. You have to trust the process, and I think our experience in the Malheur National Forest is proof that the process works. Your mill in John Day reached the brink of shutting down before the 10-year Malheur stewardship project was finally approved. Will it always take a crisis to move projects beyond the planning phase? Let’s hope that the crises are now mostly behind us and everyone has learned from them. In our case, the need for action was clear. We were running out of wood and having to lay folks off. But I think the change is about more than just the mills. It also has to do with forest fires. 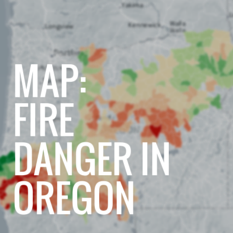 People are seeing that our forests are not very healthy, especially in eastern and southwestern Oregon. There’s been an overcrowding of trees, and people are seeing that part of the solution for forest health is harvesting trees. The question now is how are we going to do that, and how are we going to pay for the process? That seems like an important question. What do these forest stewardship projects require? You need to have the infrastructure — the sawmills, the loggers, and the tree manufacturers — and you also need the seed dollars to bring folks together, hire experts, and go get the job done. In the first wave of funding, the Department of Forestry gave out about $2.8 million to collaborative groups around the state, and now the governor’s proposed budget includes another $6 million. I’m hoping this new seed money will help expand the collaborative process because the old process was failing miserably. The Forest Service would throw all their money at a project and then it would be appealed. We need the community to be involved. We haven’t had an appeal in the Malheur for six or seven years now, so I’m telling legislators that they aren’t just throwing dollars at a project that makes people feel good. This is a project that’s working. The Department of Forestry has increased its staff presence in eastern Oregon thanks to the state’s seed funding. How has that helped your company? In the past we had a tendency to shrink when we came upon hard times — to say ‘woe is me’ and draw in on ourselves. And that’s the wrong thing to do. Instead, we needed to look to the outside, figure out how other companies are making it, and then try to draw expertise from knowledgeable people. I think that’s the number one reason why we turned the corner. You said that trees harvested under today’s stewardship contracts are much smaller than the ones being cut maybe 20 or 30 years ago. How has the John Day mill adapted? The first step was putting in a whole-log chipper and setting up a process to generate value from our low-quality shavings. We also worked with the Department of Energy to make our mill more energy efficient, and we received an American Recovery and Reinvestment Act grant to build a pellet mill and compressed brick mill for energy production. Our next challenge is figuring out how to handle sawlogs, which are larger than biomass but not necessarily large enough to make a marketable product. It’s going to take some investment of money to make that happen, but we’re continuing to look forward. In January, you cut a shift at the John Day mill due to a temporary shortage of logs. Does the collaborative stewardship process still face challenges? That situation really created a lot of anxiety for me. They say that if you fail to plan, you’re planning to fail — and partly this was a failure of planning on my part. The timber was out there, we had it under contract, but because of the weather conditions our contractors were unable to deliver the logs. A lot of people took this as a sign of failure for the project, and the people who don’t support stewardship were saying ‘I told you so.’ But it was a short-term bump in the road. The project is working. Our mill is hiring people, we’re trying to expand the plant, we’ve got new ideas, and we’ve got smart people helping us figure out how to create more products and more jobs. We’re still learning about this stewardship contracting process, but we’re absolutely committed to it.